Over the last two weeks China an Japan have been at a war of words over who owns the Diaoyu/Senkaku islands. This dispute has created turmoil within China, as Chinese protesters run amok attacking anything that is even remotely related to Japan. Last friday, it appears the protests may have taken a wrong turn as a Chinese cosplayer was attacked despite the fact that she was cosplaying as a Chinese character. During last week's Nanjing Live cosplay event in, well, Nanjing, a young girl was attacked while on stage by supposed anti-Japanese protesters. The cosplayer, who remains unnamed, was cosplaying as a character from the Chinese/Taiwanese classic rpg The Legend of Sword and Fairy (仙劍奇俠傳). 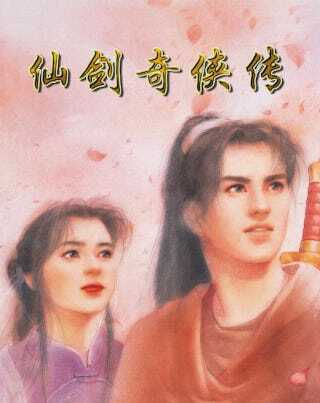 The Legend of Sword and Fairywas a martial arts fantasy RPG developed in Taiwan in 1995. The game reached cult status once it hit the Chinese Mainland. It had very little to do with Japan. The attack on this cosplayer has created a fury on the internet with Chinese net users commenting on the "stupid nature" of the attackers. Chinese gaming news portals such as NetEase and Tencent have even added editorials to their own reports on the incident asking for level heads when Chinese citizens protest against Japan. Patriotism is a good thing, but to use Patriotism as an excuse for ignorance is ridiculous and barbaric. It can not be used as an excuse for unlawful activities. Japanese culture, Chinese culture all of this aside, for men to assault a young woman, said people can not be called Patriots, they are beasts. While the three brainless people are now in police custody, there are still countless brainless beasts out there. Hopefully after the arrest of the "brainless" assaulters and commentary like that from various Chinese media outlets, there may be more level headed people among the protesting Chinese. For now, If you're cosplaying in China, please be mindful of your surroundings and what you're cosplaying.